At first, it may feel overwhelming for both the PPN mentor and mentee to create an amazing and well-thought-out presentation. 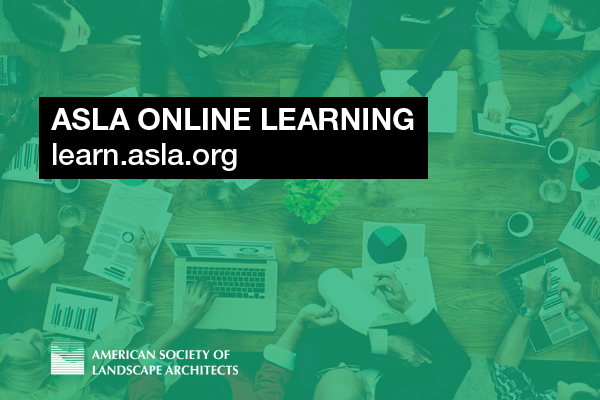 ASLA encourages you to do your best work, but also encourages presenters to aim for clarity and simplicity when working on webinars. 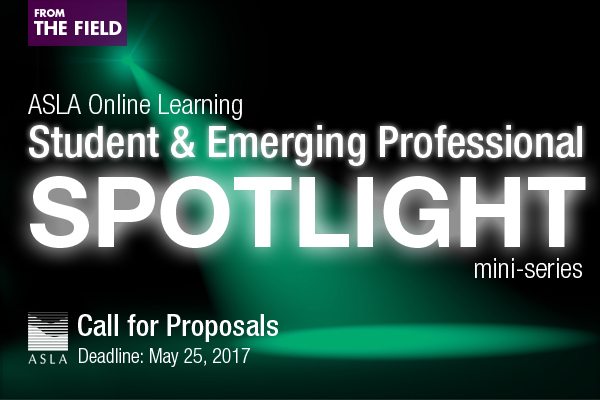 For additional information and to preview past webinars, check out the 2016 Student & Emerging Professional SPOTLIGHT mini-series on ASLA’s Online Learning website. The next live presentation is coming up on Thursday, April 27. Co-hosted by ASLA’s Children’s Outdoor Environments and Healthcare & Therapeutic Design Professional Practice Networks (PPNs), Park Rx America: Doctors Prescribing Parks to Prevent and Treat Chronic Disease (1.0 PDH LA CES / HSW) will be presented by Robert Zarr, MD, MPH, Park Rx Advisor, National Park Service; Staff Pediatrician, Unity Health Care; Founder, ParkRxAmerica.org.